Getting to the Point With Dr. Thomas Ravin, M.D. Prolotherapy: Getting to the Point is the most comprehensive course ever developed for giving you the tools and tips to understand the steps to learning the science and art of diagnosing your patients, then guiding your needle to the precise point of treatment. The course will teach you the fundamentals of being able to diagnose your patient’s pain or injury, and accurately and consistently put your needle on the painful or injured ligament, tendon, or other structures. This will be helpful to you, in that it will allow you to add another dimension to your practice of musculoskeletal medicine. The power of getting to the point is that in many instances, you will be treating a very small area that’s been injured. Prolotherapy: Getting to the Point shows you how to consistently get your needle to the injured site—quickly, accurately, and effectively. It is essential to gather these fundamental skills, which include the scientific background for how it works, the ability to take good histories, administer directed physical examinations, derive a good differential diagnosis, and identify and spot landmarks. All of these are techniques that you will learn throughout this course. History taking directed to relevant areas. Physical examination including ligament evaluation and joint-function assessment. Palpation of soft tissues and techniques for evaluating painful structures. Landmark identification with or without additional imaging. Getting to the point: guided instructions and animations showing you how to hit your target with precision. The course is segmented into modules. Each module is focused on a specific section of the body. 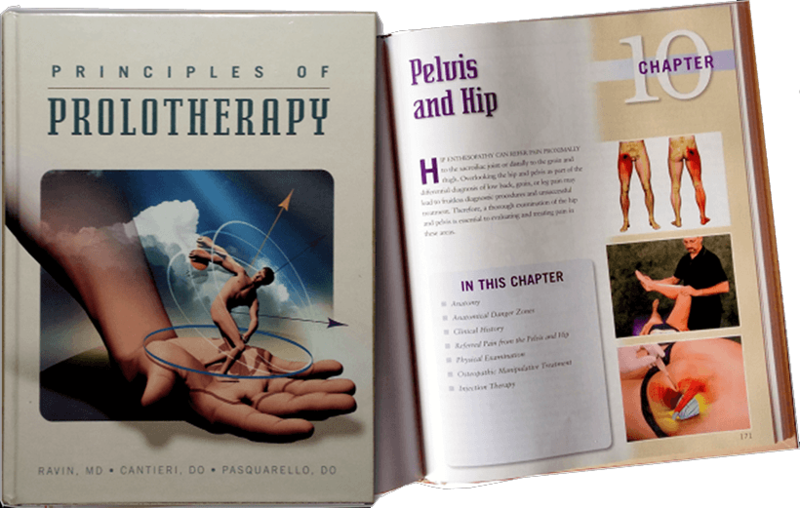 The first four modules: Prolotherapy Basics, The Shoulder, The Lumbar Spine, and The Hip and Pelvis may be completed in any order. Each module encompasses approximately one hour of video, along with accompanying transmedia. The modules are for physicians practicing orthopedic medicine, physiatrists, osteopathic manipulative medicine, pain management specialists, sports medicine practitioners, family medicine, osteopathic manipulative medicine, and for all physicians who are interested in learning and developing musculoskeletal medicine skills to add to their practice. 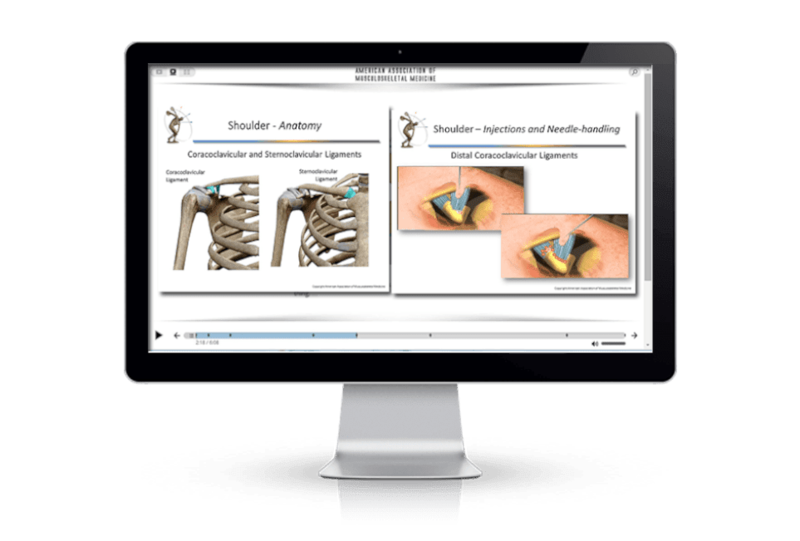 Unlike other online courses, Prolotherapy: Getting to the Point is presented is a comprehensive online course created in the dynamic TELLING Story platform. This rich, multi-dimensional digital narrative combines video with animations, diagrams, slides, links, articles and other media to provide you with a fully immersive course experience that enables you to quickly assimilate and combine the video and other media.